TruckX 2018 saw the staging of the annual SA Express Parcel Association (SAEPA) Speed in a Suit competition sponsored by CarTrack and Fiat. The winner of this year’s challenge was Steven Saffy with Mark Scott and Eddie Vosloo coming in second and third respectively. Eighteen drivers competed in a race around the short circuit track at Kyalami in the Fiat Doblo to see who could achieve the time closest to the benchmark as set by MasterDrive. Cartrack, the telematics sponsor, was there to monitor harsh braking and cornering which also affected the final score. The event is specifically designed for guests to show off their driving skills in by achieving the quickest and safest amount of time in a vehicle while using the least amount of fuel. The managing director of MasterDrive, Eugene Herbert, says each driver was committed to not only achieving the fastest lap time but driving safely as well. “There were no incidents, which is impressive, considering each driver only had a single lap to perfect their efforts. It also created an opportunity for the competitors to better understand what is required of their drivers when making deliveries. “The enthusiasm, that each participant and facilitator put into the event did not go unnoticed. With the time demands and pressure each of us faces in our daily lives, taking a moment from your limited time to participate, is difficult. Despite this, this is exactly what everyone did and all involved were well rewarded for their efforts. Congratulations to the top three,” says Herbert. A first for this year’s competition was a recording of the event. For those who could not watch the competition at the track, Cartrack had a large screen displaying footage from two camera video systems inside the venue. Live Vision camera footage was streamed from the Fiat on the Cartrack exhibition stand, providing a practical and live demonstration of the product. The footage will also be provided to each of the contestants as a keepsake of the event and to show off their skills to friends and family. Speed in a Suit is the brainchild of the CEO of SAEPA, Garry Marshall. He wanted to create a challenge within his industry which was different and exciting from the competitor’s regular experiences. The challenge provides exactly that. Chinese machinery and equipment company Taiyuan Jiadexin, a supplier of undercar components, truck wheels and brake discs has confirmed its participation in this year’s show. Competitions, challenges, launches, prizes and more – visitors to TruckX 2018 have a lot to experience and enjoy at this year’s show. TruckX, the most anticipated trucking and fleet event of the year, takes place on 11 and 12 July at Kyalami Grand Prix Circuit in Midrand. 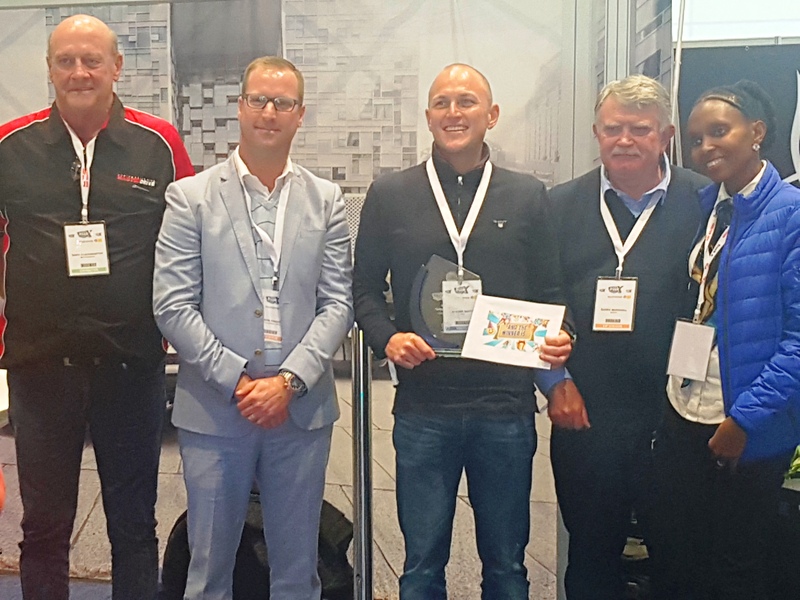 “TruckX is the only event in the trucking industry that brings products, information-sharing, interaction and extensive networking together at one place,” says show organiser John Thomson of SA Trade Promotions. What to do if you’re first on the scene! Being in an accident is something we all do our best to prevent, but it is far less easy to take precautions against inadvertently becoming part of one. Bearing witness to or being the first to arrive at an accident scene can be as traumatic as being involved one’s self, as it is not always easy to know how best to help in cases where victims have experienced trauma. In some cases, our natural instinct to help those in pain is overridden by a fear of doing something wrong or perhaps accidentally making things worse, leaving many accident witnesses feeling helpless or paralysed with fear. While the majority of us are not able to provide much in the way of medical assistance, there are a few key actions we can all take in the event of an accident to assist those in need. If the victim is conscious and responsive, your first step is to provide comfort and reassurance. Assure them that help is on its way and that you are there to assist until the professionals arrive. It is also important that you do your best to keep them immobile, as excess movement can end up worsening their injuries. Before providing any type of assistance, it is vital that you acquire consent from the victim. There are three types of consent, namely: informed consent, expressed permission and implied consent. In cases where the victim is lucid and able to speak, they must provide verbal consent for you to assist them, whereas expressed permission is given by signalling in the affirmative (in cases where the person in question is unable to speak). If the victim is unconscious and there are no family members or friends present at the scene, consent is considered implied and you should immediately do your best to assist. If possible, try your best to get as much medical information from the victim as possible, as this will help paramedics to treat them more swiftly and effectively. It is wise to ask whether the victim has any medical history that could be beneficial for paramedics to know, and ascertain whether there are any allergies or medications they are taking, which could influence treatment. If you are able, try to establish the cause of the accident, and get an idea of the signs and symptoms they might be experiencing. The more information you can give paramedics upon arrival, the quicker they can begin to administer treatment. Where possible, try your best to verify information via documents like IDs or drivers’ licenses, as this will also greatly assist paramedics, who will ultimately need proof of identity. When confronted with more challenging scenes in which the victim is unconscious and unaccompanied, your first step should be to try to find some type of identification, in the form of a bag, wallet, medical bracelet or driver’s license. Should this be unsuccessful, try to retrieve the victim’s phone, and call someone on their contact list to acquire the necessary medical information. While you might have watched hundreds of episodes of Grey’s Anatomy, this does not mean you are qualified to provide treatment to someone in need of serious help. Unless you have undergone first aid training, your best bet is to call emergency services and do your best to keep the victim calm and still until they arrive. Chances are, you might be confronted with a scene involving an intoxicated victim, in which case you might be putting yourself in peril. Inebriated accident victims can be violent and the situation can become complicated should you try to involve yourself. Remember, while your natural instinct will be to provide help, it is always important to protect yourself first. Should you suspect that the victim in question is under the influence, rather call law enforcement and await their arrival. By Nthabiseng Moloi, MiWay Head of Marketing & Brand.